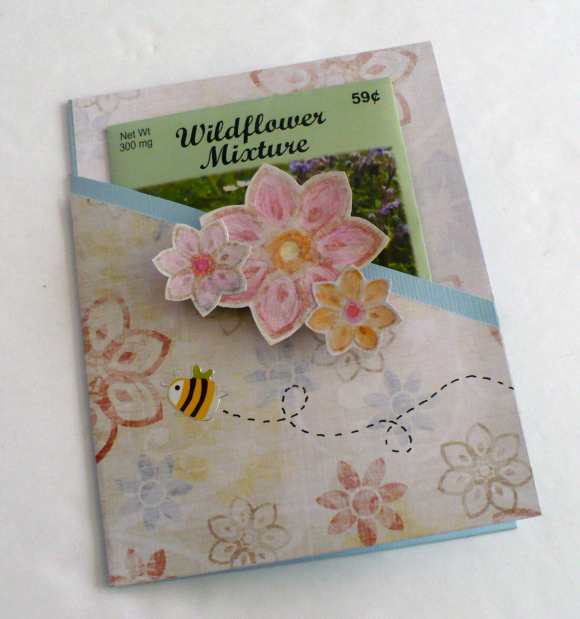 ﻿IWhile searching around for ideas, I saw these easy instructions for a card that holds a packet of flower seeds in the front of it from dollar store crafts. Very Cute! While making this, I suddenly thought to myself: "Hello! These would be soooo cute as homemade gift card holders! " I am inundated this summer with high school graduations and weddings, all of which are far away from me and needing a gift to be mailed. What would be cuter than a handmade card containing a gift card (of course good ol' American Greenbacks would fit nicely too!). You can write a nice note to the recipient inside and guess what? These cards fit nicely in an invitation sized envelopes available at any office supply store. 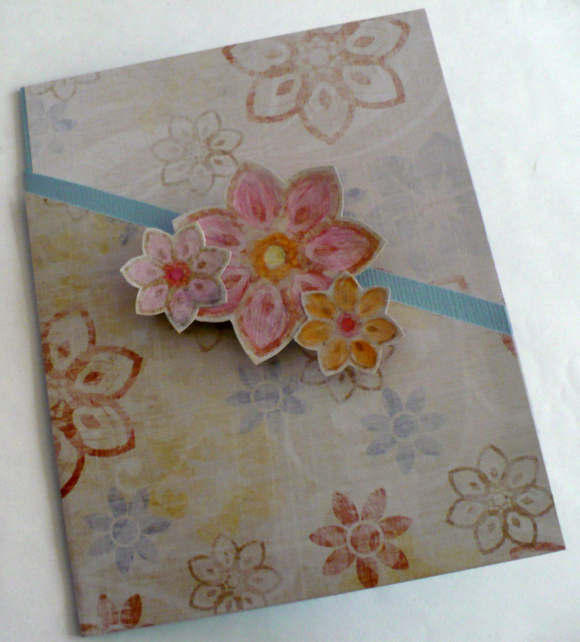 This was made with two pieces of cardstock and a left over button, that's it! 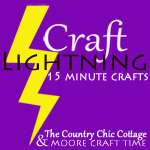 It cost's only pennies to make! 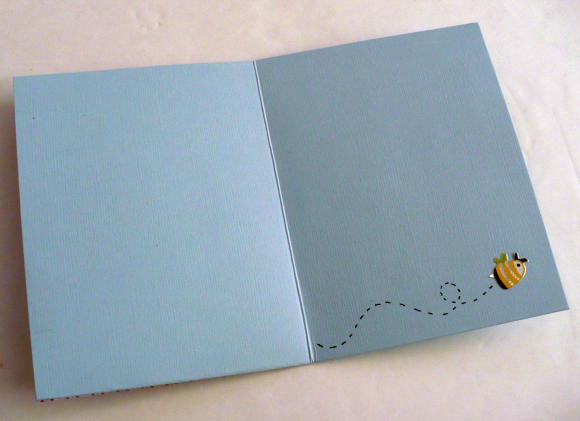 Oh, I found a really cute quote I like for inside a wedding card: Once in a while, in the middle of an ordinary life, love gives you a fairytale! Hope you live happily ever after! 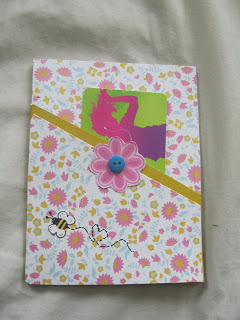 Below you will find the instructions from dollarstorecrafts that I used to make the card above. Instructions from the original source! Did you know that the second week of May is National Wildflower Week? I didn't either until recently! 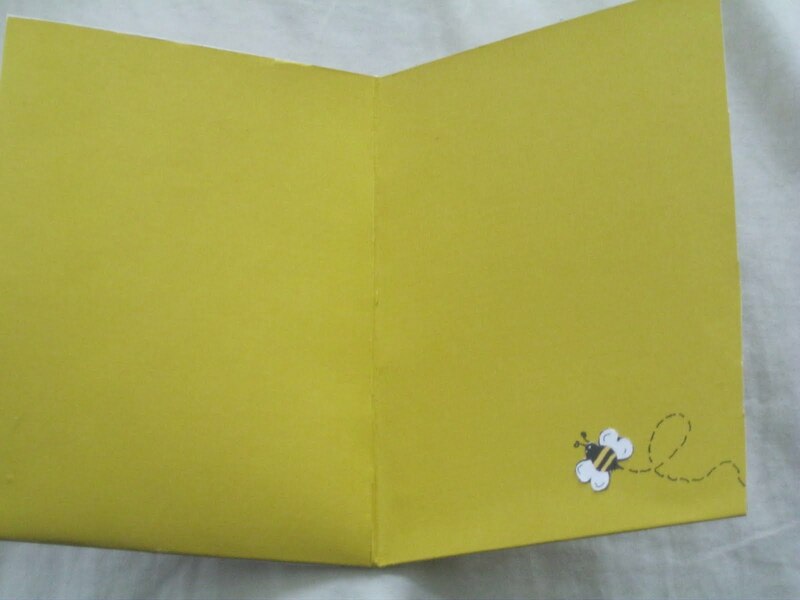 To celebrate, I came up with a greeting card designed to give a packet of flower seeds as a gift. This card would also be great for so many other occasions, including Mother's Day, birthdays or even just because. You can also use this basic design to give other small items, including money or gift cards. Start with an 8 1/2 by 11 inch sheet of scrapbook paper. Fold the sheet in quarters and crease well, then unfold. 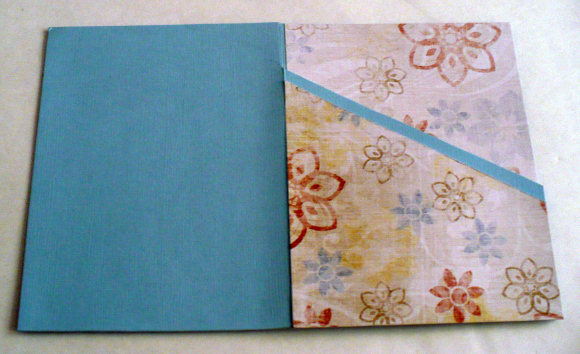 With the paper oriented vertically and the front side of the paper facing up, trim off the top right corner at an angle as shown. 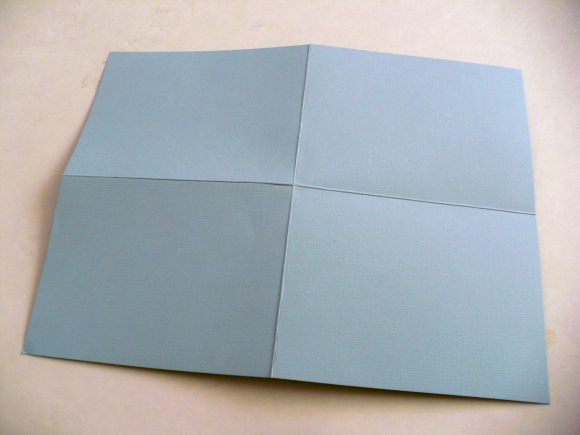 Flip the sheet of paper so that the front side is face down and the trimmed corner is at the bottom right. Cut a piece of floral paper to 4 1/4 by 5 1/2 inches and glue it to the top right section of the paper. Next, you will apply glue to both the top and bottom sections on the left side of the paper. 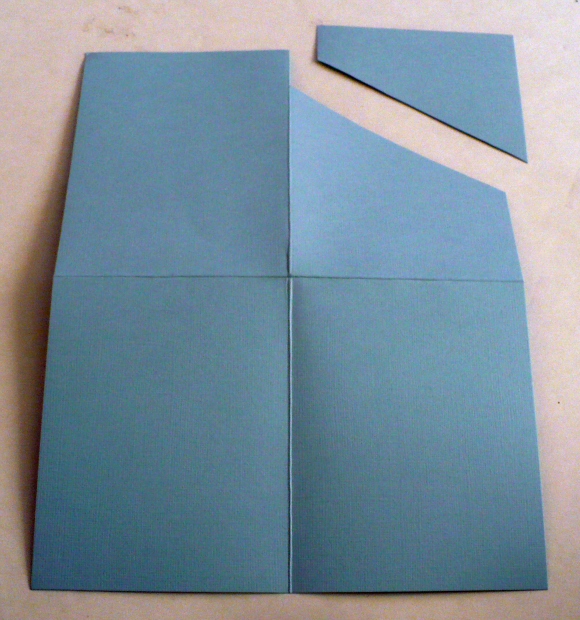 Fold the bottom half of the sheet upward and press firmly in the left side to secure glue. 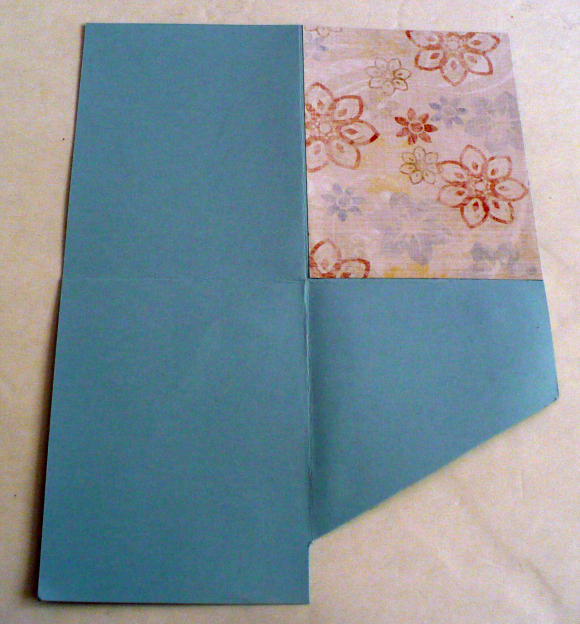 Cut a piece of floral paper to fit the angled front section of the card, leaving a small strip of the base paper showing and glue it into place. To finish the pocket on the front that will hold the flower seeds, carefully glue along the very edge on the right-hand side of the angled front flap. Now it's time to embellish the card! I cut several flowers out of my paper and colored them with colored pencils, but you can use anything you like. To give it a dimensional look, since I didn't have any pop dots or other dimensional adhesive I glued the flowers to a small piece of cardboard, then glued the cardboard to the front of the card. Be careful not to obstruct the pocket opening. Tuck a packet of flower seeds (or gift cards or money) into the pocket on the front of the card and it's ready to give!